Inspired by ancient Japanese texts and geishas, Tatcha strives to promote a less-is-more approach when it comes to beauty. The brand was formed by Victoria Tsai, who took this ancient inspiration to create modern and holistic products. Keeping this spirit in mind, she worked with scientists to incorporate time-honored ingredients from the Japanese diet. These 3 ingredients – green tea, rice, and algae – are the basis of original geisha beauty rituals. Tatcha not only helps to care for women’s skin with their amazing products, but they also give back to the community. Every purchase from Tatcha helps to support girls education through the charity Room to Read. Companies like Tatcha who are making a positive change in the world, set themselves apart from the average company. It feels good knowing that something I buy will help to support girls education. This highly nourishing cleansing oil thoroughly cleanses your skin with ease. Whether it’s makeup, sunscreen, grime or the daily attack from pollution on your skin, this oil will dissolve it all. Skin is left balanced and there is no feeling of tightness or irritation. If you follow the much-loved double cleanse method, this is essential for your first cleanse. All skin types. Don’t let the oil scare you away if you are acne-prone or have oily skin. The best oils are refined and are composed of skin-friendly properties, like this beautiful cleansing oil. This nourishing oil helps target dryness, fine lines, and dull and even skin texture. The star ingredient is Japanese Camelia seed oil, which is high in Vitamins A, B, D, and also an excellent source of Omega Fatty Acids 3, 6, and 9. Every Tatcha purchase helps support the charity Room to Read, which supports girls education around the world. It gently and effectively exfoliates your skin with natural rice and papaya enzymes. The enzymes work similarly to glycolic or lactic acid, in that they are non-abrasive exfoliators that promote healthy skin turnover. Your skin is left with reduced fine lines, smoother skin texture, and an increase in radiance. If you struggle with your foundation highlighting flaky skin, this creates a nice smooth base for it to glide over. To use, lightly wet your hands and pour 1/2 teaspoon into your hands and rub them together to create a creamy foam. Natural rice powder and papaya enzymes exfoliate your skin without harsh abrasives. It also has Japanese camelia, algae extract, and green tea which all help to protect and nourish your skin. 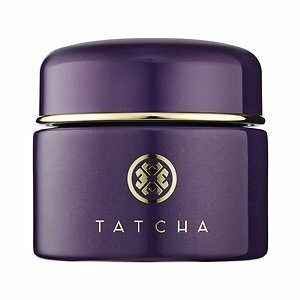 Tatcha’s Deep Rice Enzyme powder, gently exfoliates your skin, revealing a smoother and brighter complexion. An alternative to chemical and physical exfoliants, this powder will help to correct textural irregularities and dull skin. Your skin will be left smooth and ready for the rest of your skincare or makeup. To use, lightly wet your hands and pour 1/2 teaspoon into your hands and rub them together to create a creamy foam. Then smooth over and let it work for a few minutes. Normal, Combination and Oily skin. In addition to rice powder and papaya enzymes, which exfoliate your skin, this also has Japanese wild rose and Japanese leopard lily. Both of these plant extracts refine skin texture and clarify oily skin. This cleanser has a gentle formula that does not strip the skin or includes sulfates. 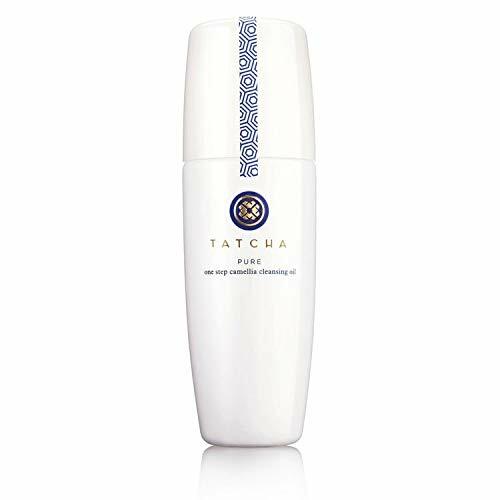 Tatcha Polished Gentle Rice Enzyme Powder Travel Size 10g / .35 oz. 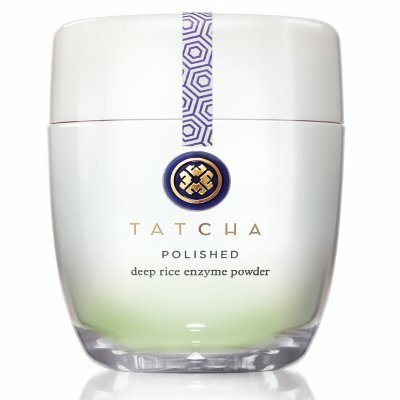 If you have dry skin that is in need of a boost, Tatcha’s Gentle Rice Enzyme Powder will leave your skin feeling smooth and polished. The powder comes to life with a few drops of water and converts to a creamy foam that acts as a gentle exfoliant. Exfoliating your skin is a good way of renewing the outermost layer of the skin, by buffing away dead skin cells that lead to flaky, dull, and wrinkled skin. In addition to exfoliating rice powder and papaya enzymes, this also includes licorice extract to moisturize your skin. If you have sensitive skin, this creamy exfoliator softens skin while gently removing dead skin cells. Your skin is left smoother and more radiant. Whereas some chemical exfoliants such as glycolic acid are too much for sensitive skin, this gentle papaya enzyme-based exfoliant is suitable for this skin type. A physical exfoliator, such as an apricot facial scrub, for example, would be too harsh on sensitive skin. Like all Tatcha powder exfoliants, this includes rice powder and papaya enzyme, which are both gentle on skin. To soothe sensitive skin, this also has natural Japanese indigo, which calms and soothes irritable skin. It’s all in the name really. This creamy mask reveals radiant skin that is need of pampering. You let the mask work for 15-20 minutes, while the Vitamin C and seven fruit AHA’s gently exfoliates your skin. Blissful. The beauty of this mask is that it can be used by anyone. Normal, oily, combination, dry, and sensitive skin types can enjoy this mask. It’s especially for anyone who finds their skin looking dull lately, with fine lines and an uneven tone and texture. The combination of seven fruit extracts creates a gentle 10 percent AHA complex, which removes dead skin cell buildup. Tatcha’s trinity of green tea, rice, and algae, is also included, giving an antioxidant punch. To increase radiance and collagen production, this cream has two forms of Vitamin C – a quick absorbing water-soluble version and an antioxidant boosting oil-soluble version. Together they are able to give the skin multiple benefits in one complex formula. With a mix of weightless and hydrating ingredients, this eye serum plumps fine lines, reduces puffiness, and firms the skin around your eyes. The serum has a cooling ceramic applicator, which keeps it from tugging the skin around the delicate eye area. Since it is ceramic, it also reduces puffiness since it is naturally cooling. It’s perfect if you have crepey and puffy skin under your eyes. Basically, anyone over the age of 30 or those with dehydrated skin. If you work in a dry environment (ie. air conditioning, hot weather), this will hydrate and plump your eye area perfectly. Packed with glycerin, squalane, silk extract, caffeine, green tea, ginseng, licorice, and numerous plant and seed oils, this covers hydration exceedingly well. And to top it off, it also has hyaluronic acid, which is a master at retaining moisture in the skin. 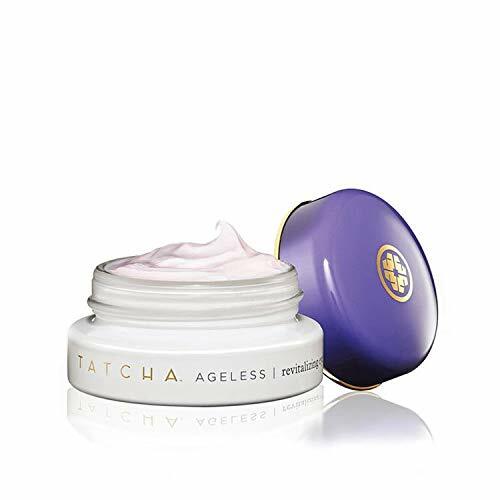 Full of powerful antioxidants, Tatcha’s Ageless Revitalizing Eye Cream moisturizes and depuffs the delicate undereye area. 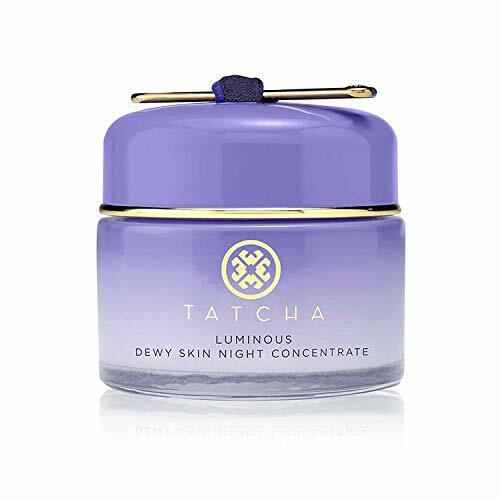 Like all of Tatcha’s products, this cream is effective but gentle. It is the perfect balance of weightless texture, moisture, and emollience, which lasts all day. A little pot goes a long way. It’s perfect if you have crepey and puffy skin under your eyes. Basically, anyone over the age of 30, those with dehydrated skin, or those that work in dry environments (ie. air conditioning, hot weather). It’s a little more emollient than the eye serum, but doesn’t feel sticky or heavy. Peony and honeysuckle extracts are the star ingredients in this eye cream. Their ability to hydrate and depuff is very effective. The hydrating eye cream also has glycerin, squalane (a favorite of mine), camelia extract, crushed pearl, Irish moss, beeswax and hyaluronic acid. Tatcha’s Dewy Mist is a lightweight moisturizing mist that adds radiance to your skin. You can use this on its own as your sole moisturizer or layer it before or after your normal moisturizer. In general, layering skincare thinly is very effective, but you can work out what’s best for you. The dewy mist can also be used over makeup to take any powdery texture down or to add some radiance. Anyone with dry, dull skin or normal skin. 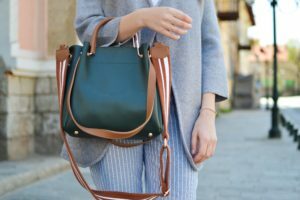 It’s perfect for busy lifestyles because it’s so versatile and easy to use. If you are in a dry environment like an airplane, a hot climate, or somewhere with a lot of airconditioning, this is lovely to use. Filled with 20% botanical oils and humectants, this mist is a moisture lover’s paradise. It has Tatcha’s foundation blend of green tea, algae, and rice, which reveal softer youthful skin. It also contains glycerin, squalane, royal jelly extract, and hyaluronic acid. For those that need a soothing oil packed with anti-aging antioxidants, look no further. Skin feels hydrated (not greasy), calm, with an even and luminous skin tone. This nourishing formula plumps fine lines and is great to use morning and night. It can be used directly on the skin, but I like adding it to my moisturizer to really spread it evenly across my face. 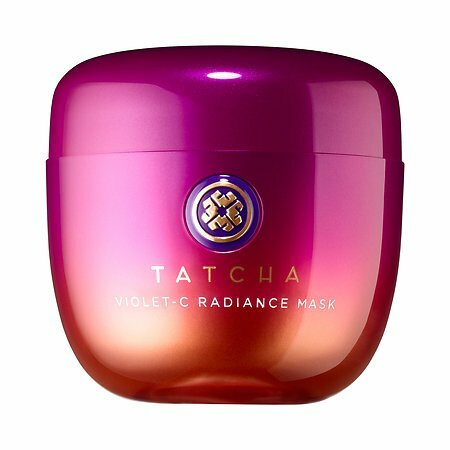 This is another beautiful formulation from Tatcha that is suitable for all skin types. 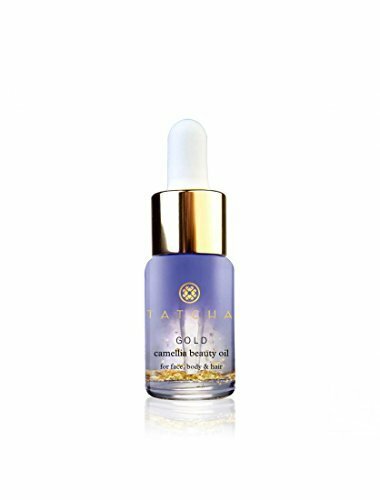 Normal, oily, combination, dry, and sensitive skin will enjoy this luxury facial oil. The star ingredient is cold-pressed Japanese camellia oil, which is naturally rich in antioxidants and essential fatty acids. Cold-pressed oils retain the highest level of actives and keep the integrity of the oil’s benefits intact. Licorice, green tea, and algae calm the skin, which is helpful for any skin type in need of a little pampering. And just for extra luxury, this oil has 24-karat flakes inside too! The saying, “treat yo self”, never rang truer. Used day or night, this calms sensitive and allergic skin, while improving skin texture and improving skin elasticity. However, all skin types can also use this. If you have difficulty finding the right face cream, give this a try. This soothing cream is for all skin types, but is especially great if you have eczema, dermatitis, rosacea, or allergic skin. It’s also great to use if you are using strong skincare that leaves your skin with redness. Since it’s primary function is to soothe the skin, this cream contains 3% colloidal oatmeal, an effective redness relief ingredient. It also has Japanese indigo, which is known for its soothing and calming properties. Licorice and green tea extract add more soothing benefits, making this a lovely cream to use. To help your skin look radiant and more youthful, this also contains rice germ oil which is high in fatty acids, antioxidants, Vitamin B, and Vitamin E. The oil is light and penetrates the skin easily. Tatcha calls it “beauty sleep in a jar” and I would have to agree with that statement. Applied at night, it works overnight to plump fine lines, leaving skin smoother and more radiant. You only need a small amount for your entire face. A small golden spoon is included to make using it more hygienic and precise. It’s great for all skin types, except the super oily. If you’re a busy person, this is an easy way of taking care of your skin. You just swipe it on at night and by morning you’ll have glowing skin. Squalane is right up there with hyaluronic acid in terms of hydrating your skin and this has a high percentage. It absorbs easily and is compatible to the oils our skin already makes. This also has Juju fruit extract which has a “good” rating on Paula Begoun’s popular skin website. It’s effective at soothing your skin. Algae, green tea, ginseng, camelia seed oil, silk extract, royal jelly and sweet marjoram improve skin tone, clarity, and texture. 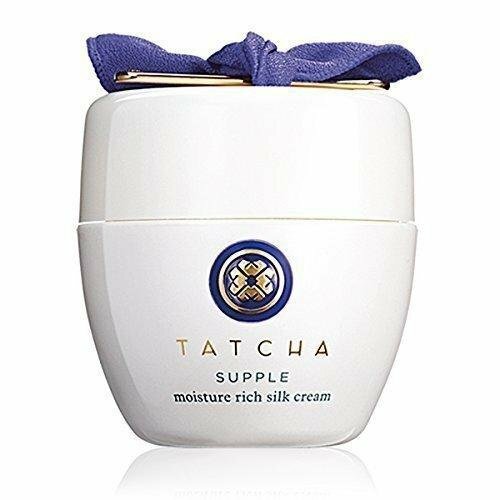 Tatcha SUPPLE MOISTURE RICH SILK CREAM55ml / 1.86 oz. This gel cream delivers the perfect amount of moisture without feeling heavy. All skin types can use this. The texture is very light so it’s good if you don’t like heavy creams on your face. Despite it being lightweight, it moisturizes very well. A combination of rice germ oil, silk extract, royal jelly, ginseng, and hyaluronic acid add a protective veil of moisture. The antioxidants and hydrating ingredients strengthen the skin’s barrier function. In addition to protecting the skin from aging UVA rays and the burning effects of UVB, this luxurious sunscreen gives you added anti-aging benefits. Antioxidants protect your skin from external daily aggressors like pollution. It leaves skin smooth and works perfectly under makeup without leaving a chalky finish. All skin types, which is not a claim many sunscreens are able to make. Especially acne-prone skin and oily skin. The most sophisticated sunscreens should contain a physical sunscreen such as Zinc Oxide. They bounce off UV rays as soon as they meet your skin. This has 15% Zinc Oxide, which is very good and minimizes the risk of irritation commonly found in other sunscreens. It also contains squalane and royal jelly which are great for balancing moisture in the skin. For many of us, finding skincare that doesn’t irritate our skin or make it break out suddenly is a challenge. Luckily Tatcha specializes in skincare that works for everyone. The mix of Japanese ingredients with cutting-edge ingredients, make Tatcha stand out from the sea of luxury skincare. If you’ve used their skincare, then you already know how great it is. With so many types of products, there is something for everyone.